This is so simple to make, and so delicious. It is great party food, very quick to make from start to finish. I like to use frozen Australian prawns, they have a nicer flavour and a lovely bite to them, and you just defrost and rinse them, and you are ready to go. But you can use fresh prawns, just get 1.5kg instead of 1kg. If you want to make this for a quick midweek dinner or light lunch, just serve it with a green salad. 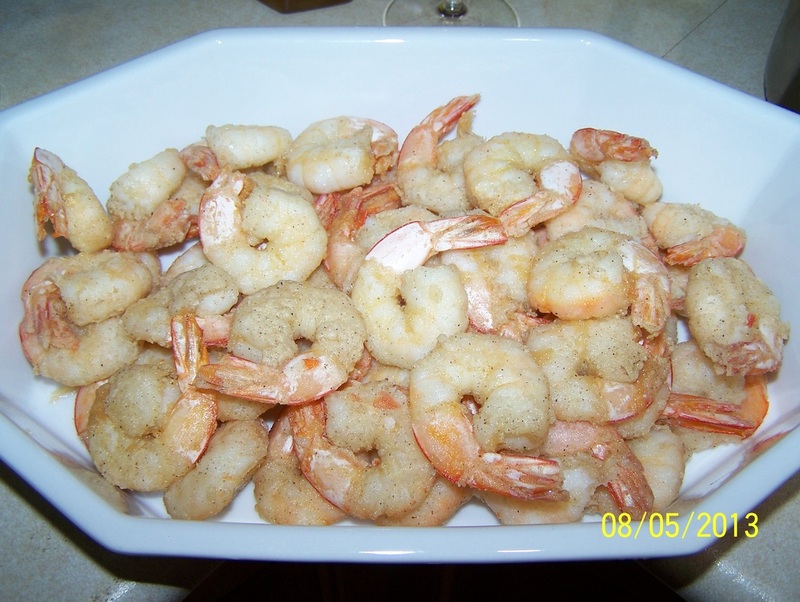 If using frozen prawns, defrost, rinse under cold water, drain off excess water. If using fresh prawns, remove heads and skins, leave the tails on. Remove the digestive strip. Mix together the flour, salt and pepper in a bowl. The flour must taste salty and peppery. Keep adding salt and pepper until you are happy with the taste. Heat oil in a large frying pan, until hot. I like to deep fry them, makes it quicker to cook. Working in batches, dust the prawns in the flour mix, add to the hot oil. If deep frying cook for 3-4 minutes, until the prawns turn orange. If your prawns are not fully submerged in the oil, turn halfway through cooking time. Drain on paper towels, serve immediately.